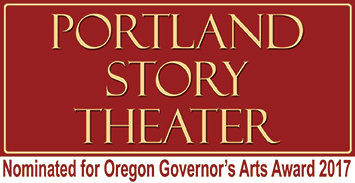 Thank You to Portland Story Theater’s Generous Sponsors! Portland Story Theater gratefully acknowledges the support of its Founders’ Circle, a group of individuals gathered in support of Portland Story Theater’s vision, values, and contribution to the cultural life of Portland and the Pacific Northwest. The Narrative Network creates sustainable financial support through recurring monthly donations from people who want to be more deeply involved with Portland Story Theater.